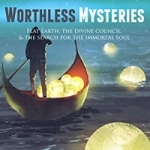 In this broadcast, I interviewed Robbie Davidson, the producer of the documentary, The Global Lie – Flat Earth Revelation. We talked about Flat Earth theory and also about the documentary, The Principle. 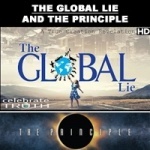 NOTE: The producers of The Principle are NOT Flat Earthers, but their film really does show how much we’ve been lied to by so-called “modern science.” If the information in this film is correct, then we really do have to start over from the Beginning.